Jun Asai will give a piano concert on Saturday, Aug. 6, at 4 p.m. at The Colburn School, Zipper Hall, 200 S. Grand Ave. in Los Angeles. 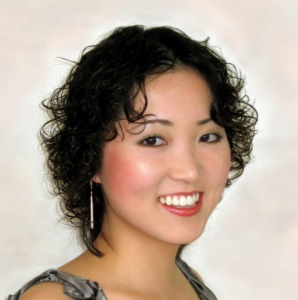 Asai has performed with the L.A. Philharmonic, Glendale Philharmonic, Fort Worth Symphony, Utah Symphony, Nagoya Philharmonic and Shanghai Philharmonic. She has won honors at L.A. Phil’s Kaper Awards, National Chopin Competition, Shanghai International Competition, Joanna Hodges International Competition, Bachauer International Competition, New Orleans International Competition, and Città di Cantù International Piano Competition, among others. Her teachers include Eduardo Delgado, Daniel Pollack, Oxana Yablonskaya, and Yoheved Kaplinsky. She has also worked with John O’Conor, Arie Vardi, Mikhail Voskressensky and Nelita True in various master classes. She gave her debut recital at Carnegie’s Weill Hall in 2002, appeared four times on the TV program “Musical Encounter,” and played the role of a piano prodigy in “Sneakers” with Robert Redford. Born in Tulsa, Okla., Asai grew up in Pasadena and took lessons at the Pasadena Conservatory of Music and later at the Colburn School of Music. She entered the Juilliard School at the age of 15, graduated with a master’s degree in 2004, and is currently in the doctoral program at the Johns Hopkins University under the tutelage of Leon Fleisher. She serves as music director at Davar Church in Pasadena, which is sponsoring this concert. For more information, visit www.junasai.com. The event is free but seats are limited. Call Davar Church at (626) 219-6425 or visit www.davarkg.com for reservations.